Ball play helps little ones to "see the music." Here's a fun activity you can try at home. Put on some music—any music that has a good beat—take a seat on the floor, and bounce (bounce, catch, bounce, catch) or toss (toss, catch, toss, catch) a ball to the beat with your child. 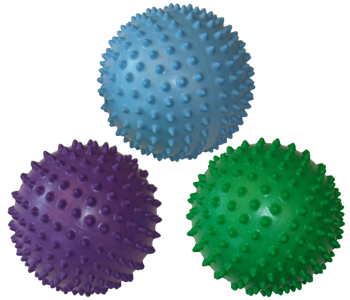 The Bumpie Gertie Ball has lots of mini-bumps, so it’s easy for little hands to grab onto! For all ages. What makes a Gertie Ball so wonderful? It’s the soft, squishy, huggable feel! 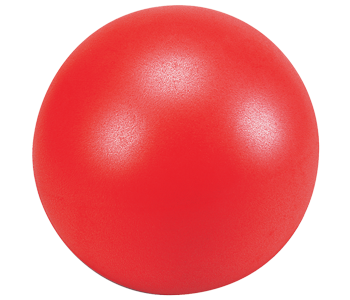 With a unique surface that makes them extra easy to throw and catch—even for the youngest kids—they are always light and gentle, for both indoor and outdoor play. Color will vary (purple, green, blue, red and pink). For all ages.